The America's 101 Favorite Old-Time Gospel Songs book features 101 songs of faith in an easy-to-use sing-along format. Perfect for churches, youth groups, small home gatherings, or personal use, this collection of songs will bless you again and again as you rediscover these timeless songs that have helped lay the foundation of our faith. 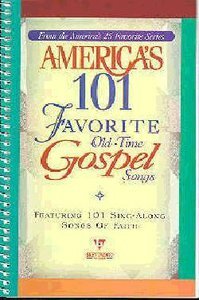 About "America's 101 Favourite Gospel Songs (Music Book)"